Simple Stories-Sn@p! 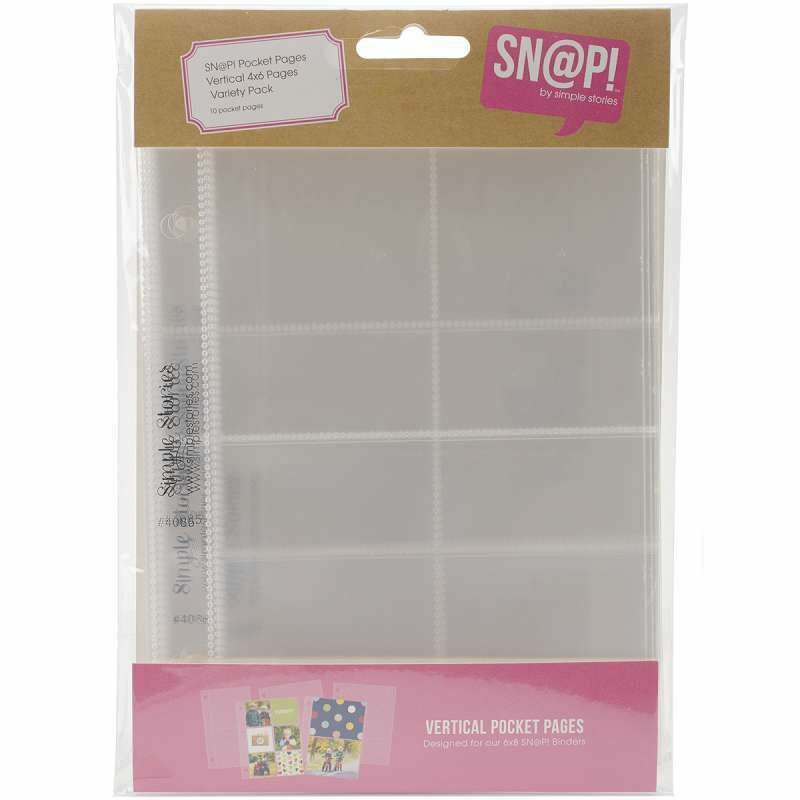 Pocket Pages For 4x6 Inch Binders: Vertical Variety Pack. 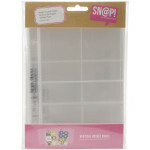 Simply add your own photos, mementos and memories to capture your colorful, one-of-a-kind life in a snap! This package contains eight 6x4 inch page protectors (two with one 6x4 inch pocket, two with two 3x4 inch pockets, two with six 2x2 inch pockets and two with one 4x4 inch pocket and two 2x2 inch pockets) and two 6x3 inch page protectors with two 3x3 inch pockets. Acid and lignin free. Imported.